Former Browns quarterback Johnny Manziel has made a deal with prosecutors that will lead to the dismissal of a domestic assault case involving his former girlfriend, Colleen Crowley. 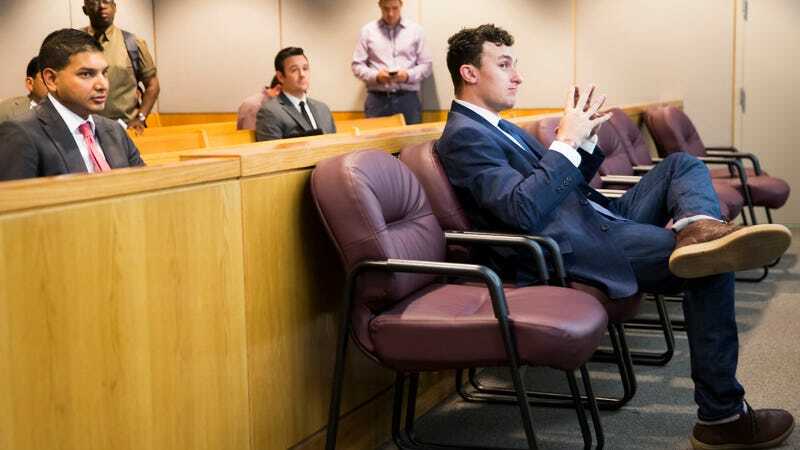 Manziel was indicted by a Dallas County grand jury back in April, a few months after Crowley accused Manziel of assaulting and threatening to kill her. The AP reports that the framework for a plea deal was presented at a hearing today, but the deal is not yet finalized. The judge presiding over the case set another hearing date for Dec. 1, where the case will presumably be settled for good. Johnny Manziel&apos;s Father On "Druggie" Son: "I Hope He Goes To Jail"